Because I make all the wedding rings I sell myself I can offer a very high level of customisation to the designs found on this website. 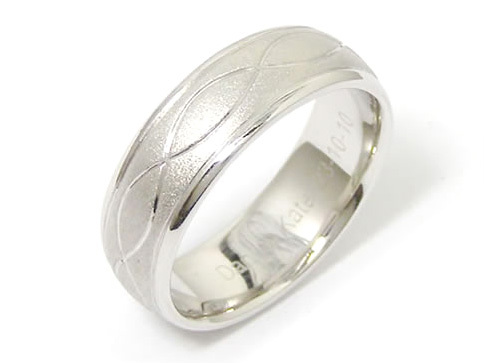 This week I delivered a wedding ring that was created using the band shape of one design and the engraved pattern of another. The final decision for the customer was the carat and colour of the gold. To finish off the ring the couples names and wedding date were engraved inside the ring.